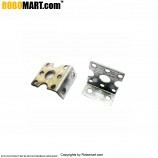 A DC motor clamp or a bracket is used to mount the motor tightly on any solid surface. 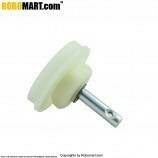 Thus it increases the usability of the motor & makes motor mounting very convenient. 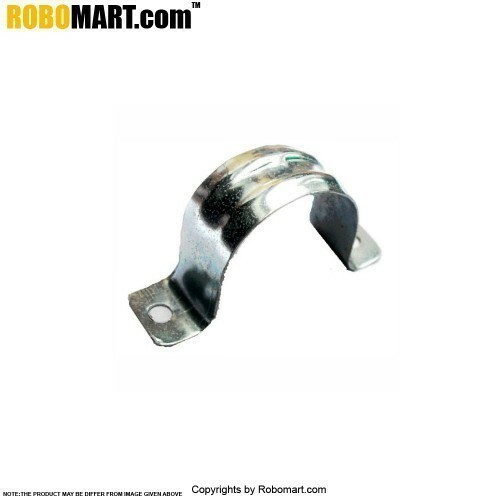 U Type motor clamp is used to hold the metal geared motor properly. It is screwed on the chassis board by holding the motor in middle. 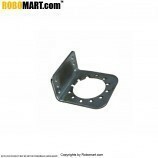 One advantage of a motor mounting block is that it provides a lot of faces and places to attach it to the robot or project. Some disadvantages are that a mounting block takes up space and adds weight. 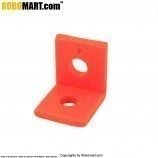 This clamp-based mounting block is suited for a variety of robots, test equipment, and mechanical contraptions. It’s surprisingly easy to make for small motors. The clamp can be used to position DC motor anywhere on a solid flat surface making it very convenient to use for any customized product or device. 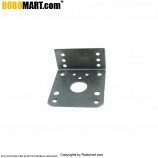 They have been used regularly in automation robots in industries. 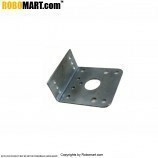 It can be used for your project or competition Robot too. Also Searched as : Motor clamp, DC gear motor clamp, DC gear motor clamp online in india.